And a guy who looks like Brosnan had the title in 86, handed it to someone else, then returned again by 95. And the guy who looked like Connery thought he’d continue his stand ins vendetta for lols. "According to documents NRK have access to, parts of the film will be shot in Nittedal between 25th March and 2nd April. There will be a temporary restriction area for air traffic, as there will be helicopters in the area, flying at low altitude, at high speed. There has also been granted a permission for driving with other motorised vehicles in the area." So for those of you in the industry, does it still require helicopters to film scenes from above or can they not use drones for the larger cameras now? Because, heaven forbid, I hope the plural of helicopter in the above Norwegian article does not mean we are getting another helicopter fight ala SPECTRE or a chase ala MI: Fallout! Depends on your lens. Some cameras are just too heavy for a drone. Let’s hope its for the old Michael Bay style aerial shots of a car chase over the ice then. Of course one thing I did not think of is, perhaps its two helicopters coming in to attack the cabin, which leads to a car chase and associated pursuit. Deler av innspillingen av den nye James Bond-filmen spilles inn i Norge, nærmere bestemt Nittedal. Allerede i slutten av mars kommer filmteamet, ifølge NRK. Another view of the cabin / future pile of rubble. If that’s the case, at least we’ll have a whole lot of explosions. For me, it will be the destruction of the series if they go that way. I get the sense that Eon said yes to the Boyle/Hodge concept for Bond 25 simply for the kudos of getting oscar winner Boyle’s name attached. I imagine that having Boyle on board (or the prospect) sweetened the deal with their studio negotiations. But not unlike the brexit fiasco perhaps all parties imagined that they’d get their way when push came to shove on locking the script. However, their thinking may have been, let’s just get Boyle onboard and committed, get our studio deal and then when Boyle/Hodge turn in their draft we say, 'Hmm, it’s very strong, but…" By then Boyle/Hodge will hopefully want to carry on with this thing they’ve committed time, effort and publicity to, so they’ll see it our way. A great big bluff which Boyle shocked all parties by calling. If this is true, then it was a shrewd strategy; a win-win situation: Either Boyle stays on, changing the script according to Eon’s notes (Bond doesn’t die etc). And if Boyle walks, then having had his high profile name attached got them a better studio deal at that point in time. It cost them no more than a relatively short delay. I think it’s likely that Eon never intended to do Boyle’s high concept. But wouldn’t that be… highly unprofessional? I mean I know it’s showbusiness, but still that’s a waste of time and money. And reputation perhaps. My guess is (assuming the death of Bond rumour to be true), they maybe at some point wanted their Logan but changed their mind. Or it’s all bull…which given tabloids keep changing their minds on who had the idea, is what i’d suspect. It’s the bottom line that trumps all else. But I’m only specualting, of course. They want the best possible studio deal and they can go into that negotiation with either Mackenzie or demange, or Boyle. No disrespect to the former 2 names (I’m a big fan of Mackenzie’s), but isn’t having a highly respected, Oscar winning director attached a better bargaining chip? They’d have fought one battle at a time; first the studio, then Boyle. In hindsight with CJF now attached I’d say they lost a battle, but won the war. they maybe at some point wanted their Logan but changed their mind. I agree - I’m sure this idea would’ve been part of conversations. 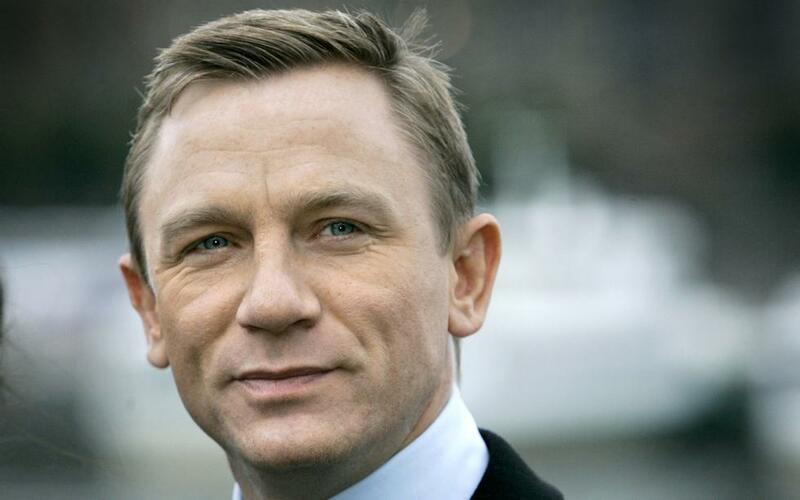 I guess getting an A list director for a Bond film will not be a priority for the studio. The mass audience will not care whether a bloke called Kubrick directs or me. It‘s only important for reviewers and the above the line talent who gets drawn in by the chance to associate with highly regarded people. For a studio the more a director is known the worse it is anyway since the price will be higher. It only works for prestige pictures which would not be greenlit without the talent. It is too often forgotten that even the A listers had to start somewhere. Giving a director or actor a chance to shine on a Bond film and building a career from that does not seem to be included anymore in EON‘s thinking. My guess is (assuming the death of Bond rumour to be true), they maybe at some point wanted their Logan but changed their mind. That’s my guess. The ideas could have been flirted with as shocking twists apparently worthy of a ‘finale’, but when push came to shove they came to their senses. We know the film is getting rewrites of some kind. And upon hearing these rumoured details, I say that’s a very welcome relief. For a studio the more a director is known the worse it is anyway since the price will be higher. I didn’t think the director’s fee would be a great factor compared to the hundreds of millions spent on marketing. My bad! But if Boyle charges that much, then fair enough - i guess they’ll prefer the cheap option. And besides, who does pay the director - Eon/MGM or Universal? See, i (perhaps wrongly) assumed MGM/Eon pay the director and that being the case the studios they were negotiating with to distribute (Universal in the end) would want the most marketable director possible (Boyle in this case), since they’re not paying for him. That would mean Eon basically pulled a switch on them and got to say that it was Boyle’s choice to leave. Agree totally. I suspect the big idea from Boyle was Bond involved in a real time incident of sorts , like a terror threat at a major event , at least that’s what I inferred from the few Boyle interviews conducted. EON will not pay for anything, they are responsible for putting together a budget that the studio then will greenlight or not. MGM has to pay, but they will gladly do it because Bond films are a guaranteed money making machine. Of course, EON - as any producing entity - will aim for a the biggest gain within their producer´s fee. One might argue that they don’t need the money anymore and are only doing it for the fun of it. Wrong. Of course, they are in it for the money as well, and that’s perfectly fine. But if they put up a budget that has swollen up due to the many high fees of A-list talent - including a high priced director -, MGM will target that and argue: do we really need this or that one? And really, the name of a director will not make any Bond film sell more tickets. As for the millions of marketing costs - those are not part of the budget for making the film (EON is supposedly hands on in making marketing decisions, but MGM is reaching in their pockets to pay for this, too, together with the distributor which in this case is partly Universal). And again, the marketing actually is so much more important than the name of the director. Granted, one might catch a few headlines or knowing nods from the connoisseurs if a Mendes or a Boyle or a Fukunaga gets hired for a Bond film - but Joe Sixpack will shrug that off and ask: yeah, but is the film any good? Very illuminating! Thanks for taking the time to articulate all of that.